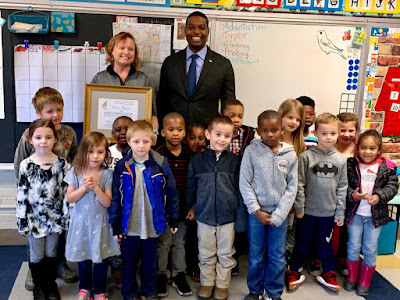 On February 19th, DEQ Secretary Michael Regan visited Central Elementary School in Elizabeth City to award Rebecca Masters the department's NC Environmental Education Certification. Ms. Masters has been an elementary school teacher for 20 years, teaching every grade from kindergarten through fifth grade. 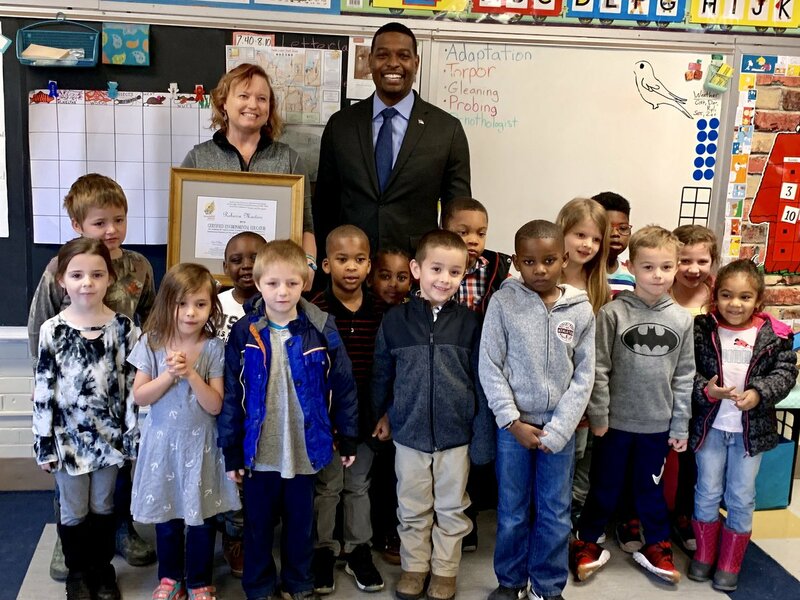 She has worked at three different schools in Elizabeth City, and most of her career has been spent teaching kindergartners. Ms. Masters has a passion for bringing her interests to the children at her school. "My loves are science, art, and reading. There is no kind of feeling in the world like seeing a child read for the first time, or seeing their eyes light up when they learn a little bit about the natural world." Mr. Shel Davis, Interim Principal at Central Elementary School, and Dr. Joanne Sanders, Acting Superintendent for Elizabeth City-Pasquotank Public Schools, joined Secretary Regan in congratulating Ms. Masters on her achievement. 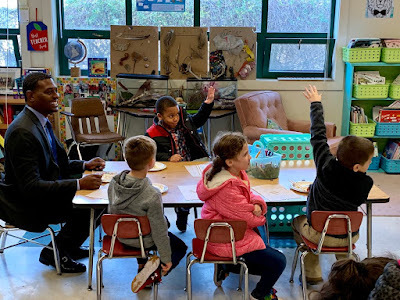 During Secretary Regan's visit to Ms. Masters' classroom, he took part in a "Bird Beak Breakfast," part of the students' curriculum on birds and their adaptations. Bird Beak Breakfast is an activity from Growing Up WILD, a program of the Association of Fish and Wildlife Agencies offered to educators through the NC Wildlife Resource Commission. 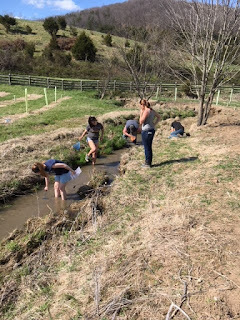 Growing Up WILD was one of the many environmental education workshops Ms. Masters completed for her Environmental Education Certification. 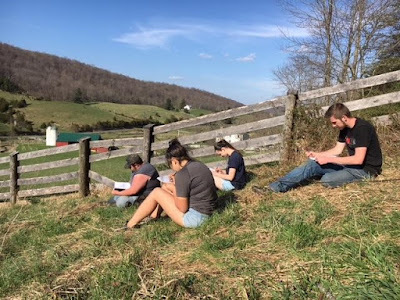 Ms. Masters said her favorite part of the certification program was "traveling around North Carolina, seeing more of my home in the past four years than I have in 31 years that I have lived here. I have hiked more, seen more waterfalls, driven more landscapes, experienced more ecosystems from the mountains to the sea." 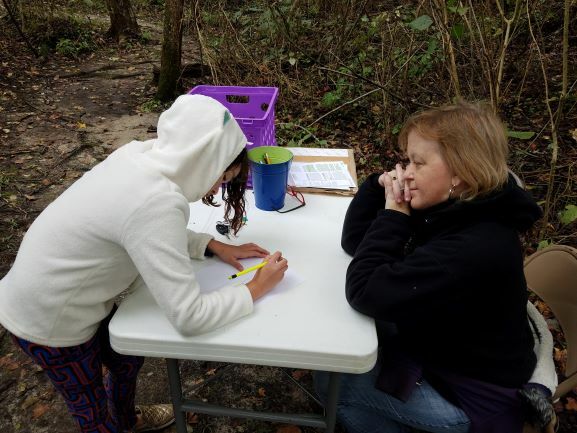 For her community partnership project, Ms. Masters coordinated environmental education stations for a festival at Dismal Swamp State Park. The stations were part of an event called Dismal Day, an annual celebration of the park's nature and history. Families in the counties surrounding the park come to Dismal Day to enjoy cultural exhibits, food, music, boat rides, and other festivities. Ms. Masters saw a need for a kid-friendly environmental education component at the festival and worked with park rangers and local volunteers to set up education stations. 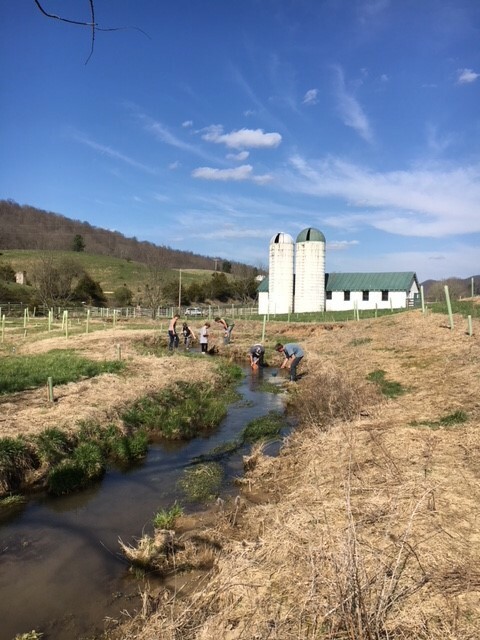 Five stations were set up along a walking trail, and each station had volunteers who taught abbreviated versions of lessons from environmental education programs. Youth participants from the surrounding area took part in brief activities and lessons that, in Ms. Masters' words, "opened their eyes and their minds to the park, the trail, and environmental issues." Through the certification program, Ms. Masters found opportunities to step out of her established role as a teacher and once again become a student. 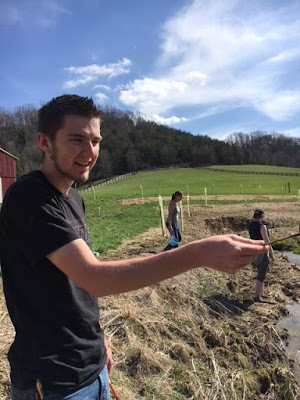 "All of my courses, treks, and classes taught me to be more open and that it is OK to not know all the answers. Observation and education are key, not necessarily getting everything right the first time..."